Here are a couple of books I created this fall. I found some library catalog cards, due date slips and card holders that had interesting lives. Some of these cards were used for inventory, so they have all sorts of interesting check marks and notations of different colored inks. 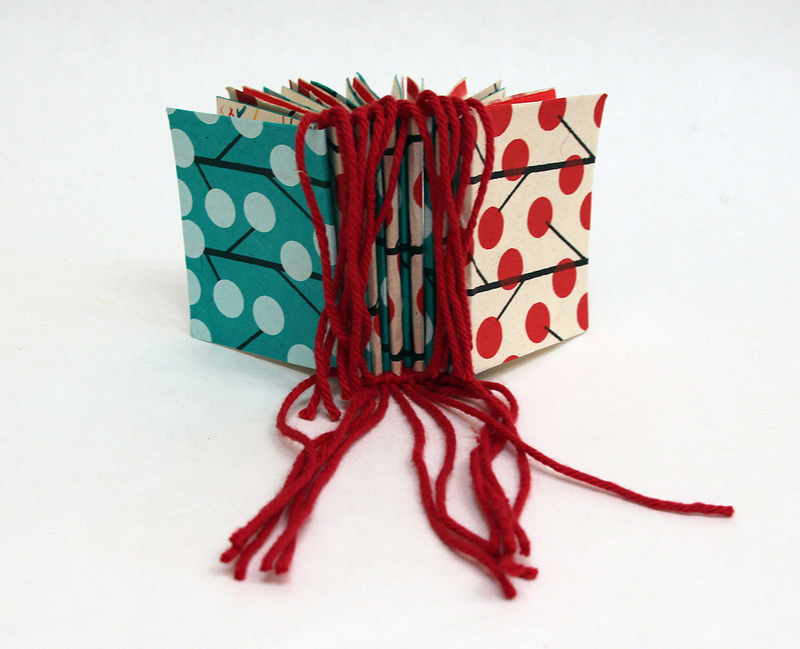 This book was created using a tied binding, library catalog cards, cotton yarn and handmade paper. 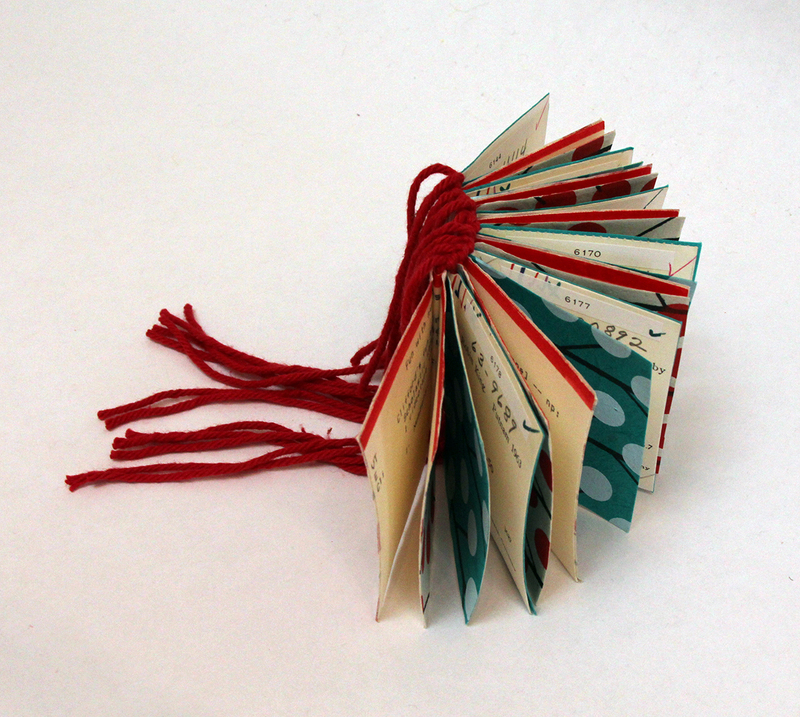 This book is an accordion book which uses a great barkcloth paper, book cloth, book envelopes and library catalog cards. 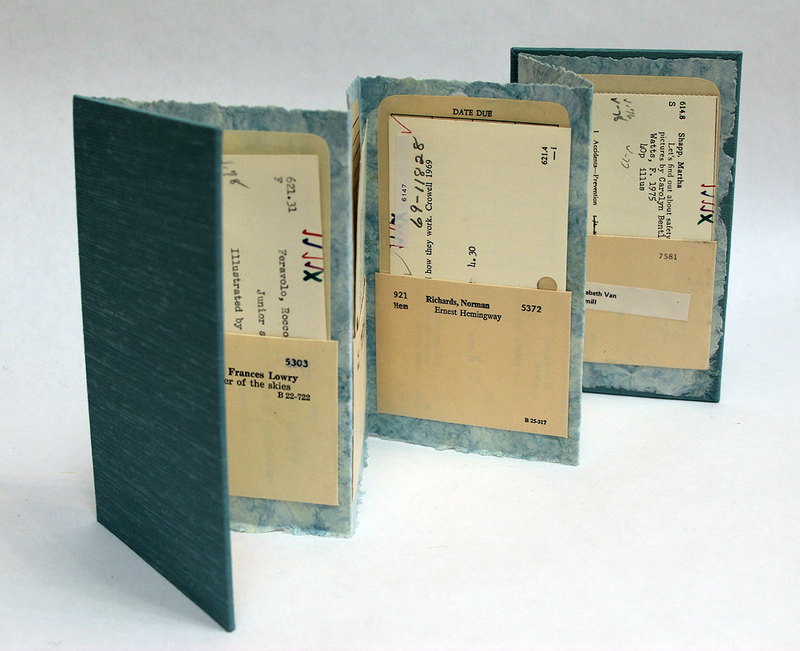 I’ll be teaching bookmaking at the Arrowmont School of Arts and Crafts and the Surface Design Association Conference: Confluence in 2013.